UNITY DAY USA: Do Jews, Christians and Muslims better understand each other since 9/11? TEXAS FAITH: Do Jews, Christians and Muslims better understand each other since 9/11? Abstract: Jews need sincerity and not duplicity. Native Americans need an apology and there is a good amount of phobia embedded in Hindus about conversions. We believe in Jesus as a Prophet and not as a son of God. Unless we deal with tough issues about our differences, we will continue to fake being nice to each other and brood with ill-will within. There is indeed improved understanding among faiths since 9/11. But there also is deepening suspicion among them. One is spiritually motivated and the other is political. Please note, most of my writings are inclusive of all theist and atheists traditions, we all inhabit the earth and we need to figure how best to co-exist cohesively. Since September 11, 2001, many conversations have taken place among Muslims, Jews and Christians. There are official interfaith conversations occurring all over the globe, where participants dig into each other's texts. And numerous personal dialogues have been established over the last decade. 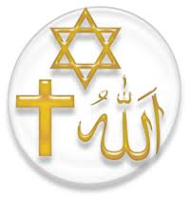 Many of us have learned more about the three Abrahamic faiths since September 11, 2001 than perhaps we knew before that day. But here's this week's question, which is simple in its wording but not necessarily simple to answer: Do followers of the three Abrahamic faiths really understand each other better since 9/11? There is indeed improved understanding among faiths since 9/11. But there also is deepening suspicion among them. One is spiritually motivated and the other is political. We were better off when we knew very little about each other. But as we faced the hostage crisis in 1979, the evangelical foray into politics, the Baptist convention on harvesting poor souls and finally 9/11, religion moved on to center stage. It will get better when we know more about each other. On September 11, 2001, I was on the radio in Dallas attempting to make sense out of the chaos of the day and pave the way for relevant actions. Interfaith-faith prayers, blood donation and fundraising for the men and women in uniform were all in place by evening. The fog was clearing up. Osama bin Laden was the bad guy and Muslim-Americans had nothing to do with his actions, nor did they authorize him to terrorize any one. Indeed, he placed a wedge between Americans that still needs to be undone. * Mosques in Dallas/ Fort Worth area opened their doors right after the 9/11 incident. As Christians walked in, they were naively welcomed by yet-to-be trained volunteers who said, "We believe in Jesus as a Prophet and not as a son of God." However, the volunteers were trained to welcome without conflict the very next week. Of course, back in the 8th Century, a Syrian bishop had declared that Islam was a false religion. That declaration has remained in the psyche of a few Christians forever. Pastor Robert Jeffress of the First Baptist Church of Dallas reiterated the statement and added, "Quran is a false book written by a false prophet." He was asked to prove it but failed. There are several verses in Quraan that are mistranslated for political gains. Steve Blow in Dallas Morning News quoted me, "In the Middle Ages, European leaders commissioned a hostile Quran translation to foster warfare against Muslim invaders. Later, Muslim leaders produced another translation to inflame Muslims against Christians and Jews." *Shamelessly, anti-Semitism continues to operate under the radar. The anti-circumcision bills in San Francisco and Santa Monica were irksome to some, but frightening to others. Indeed, there are still a few Christians out there who cannot shake off what Fred Phelps was demonstrating with reckless posters such as "Christ Killers." The Judeo-Christian phrase was thrown around in the 40's to build relationships between Jews and Christians. A whole industry of opportunists was born from it. The support for Jews by Billy Graham, Richard Nixon, Pat Robertson, John Hagee, Glenn Beck and other chest thumpers have ulterior motives. They want to cash in on the name of Israel and perhaps convert them. Jews need sincerity and not duplicity to feel genuinely secure. *Native Americans need an apology for the destruction of their religion and there is a good amount of phobia embedded in Hindus about conversions. Some of them feel that Governors Nikki Haley and Bobby Jindal made it in politics because they converted to Christianity. *The spiritual balance in the community needs to be restored through observing and following the Golden Rule, which is treat others as you would like others to treat you. Although we have failed in the past, such as when the city of Plano rejected a permit to build a Hindu temple in the early 80's and Richardson did not permit a Muslim school to open there in the mid-1990s, we still have come a long way. Thank God, those are now history and the public in the metroplex welcomes diversity. * Interfaith meetings are still social gatherings. Leaders from smaller groups are invited as tokens rather than to genuinely get to know each other. Unless we deal with tough issues about differences, we will continue to fake being nice to each other and brood with ill-will within. There is plenty of room for honesty to grow and mature.